One guy trying on a Homer mask, and the mask manufacturer's salesman, just leaving the shop, always wears a Ned mask, scaring the guy in the front. I just added the missing fridge and shortened the couch so it doesn't block the entrance under the stairs. Awesome idea to use the odd heads as masks! Well exceuted. AWESOME designing there 'cimddwc'......great looking Victorian era building.....Brick On 'cimddwc' ! Absolutely brilliant. I love it. 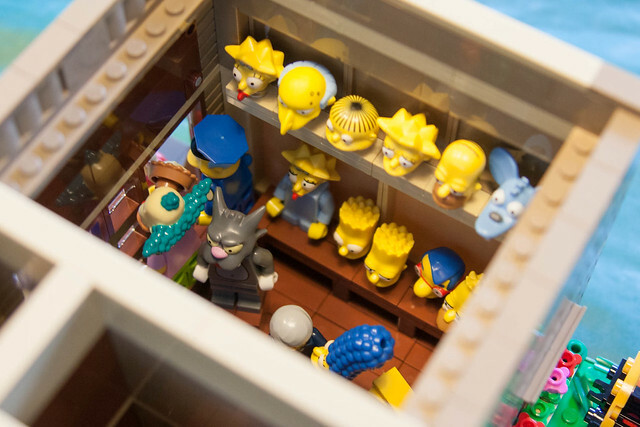 Did it require many additional pieces than those found as part of the simpsons main set? By Matt you do mean Matt Groenig, or is it just a hilarious coincidence? That a fantastic conversion job there cimddwc! I really like the facade - plenty of interesting bits and pieces and I especially like the use of those 1 x 2 plates that overlap the arch. The arched roof structure just looks perfect. 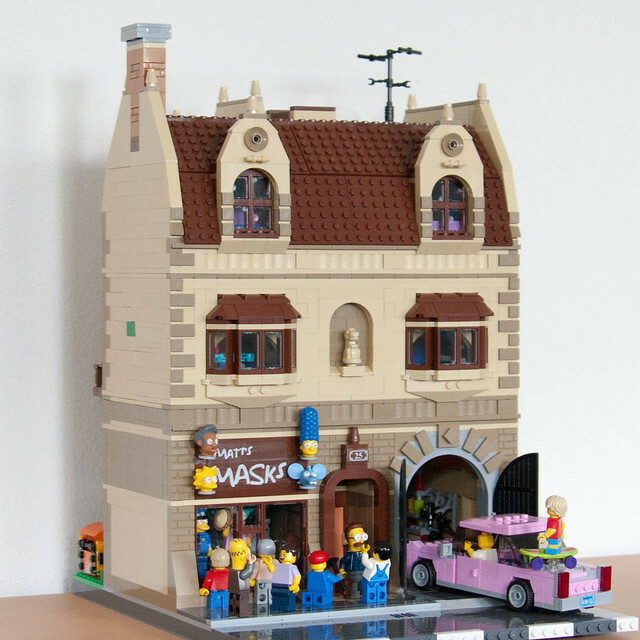 Good job with the interior and I like the solution for the missing brick on the front. Heck, the whole thing's awesome. Yes, there were many extra bricks needed especially for the ground floor - otherwise you only got the garage parts from the set. 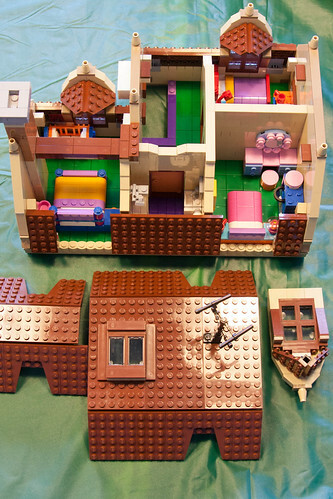 And of course all the decorative elements like headlight bricks and dark tan tiles on the corners, etc. Very wonderful idea! 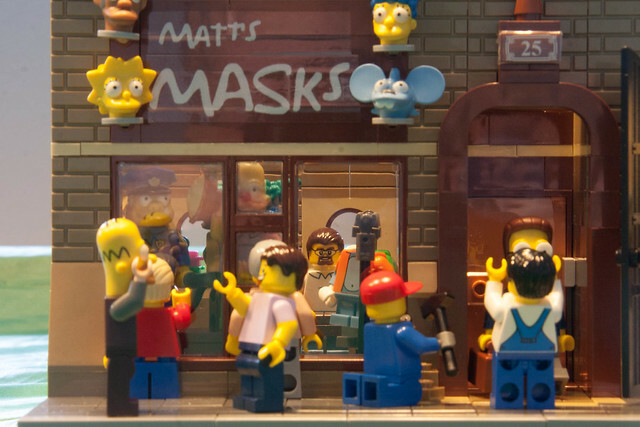 I didn't even notice it was the Simpsons house until I saw the masks. Great building. 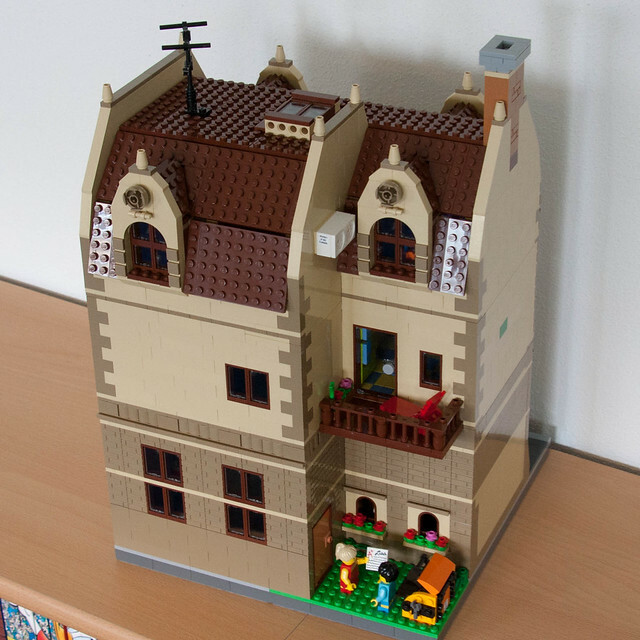 Fantastic conversion -- the level of detail really fits right in with other modulars. I especially like the TV antenna on the roof. Very nice design! I love how you kept the interior the same. Great job on this it turned out Awesome! 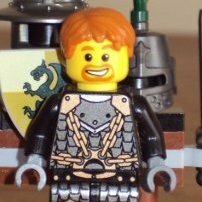 Instantly recognisable for me! Face is spot on. Pretty incredible, love the fact that you still get the Simpsons vibe from the architecture. I have the simpsons set but I wouldn't know where to start to come up with something like this. I really like that studded roof for some reason. I love the slopes the Modular series brings, but there is something very appealing of the studded roof on this particular modular. The details are nice. I don't love the brick wall on the back personally. But I don't love giant facades using the masonry bricks. Something feels off with it, I don't know why. Keep up the great work. I'm sure I'll pick this set up eventually. This is yet another fantastic modular. I really like the fact that his modular building is recognizable as a building based on the Simpson’s house yet it has a different design. The colour scheme looks great, specially the back side with less details. Contrary to the calm and neutral details on the outside, the inside just pops with colours. 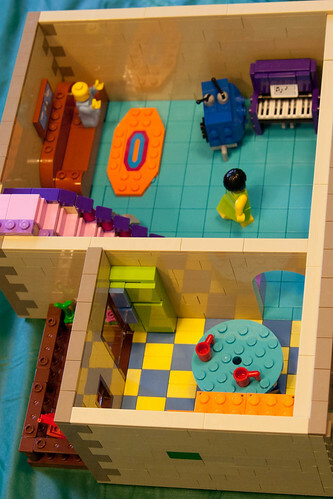 And it makes me want my copy of the Simpson’s house to do something similar. Just wondering - since I admire pretty much all of the buildings you posted so far: Do you plan your buildings ahead in something like LDD, or do you just sit down and build away? Great job. Really like the details and texturing on the front facade. Similar idea to the guy who used the Krusty heads as masks for his bankrobbers. 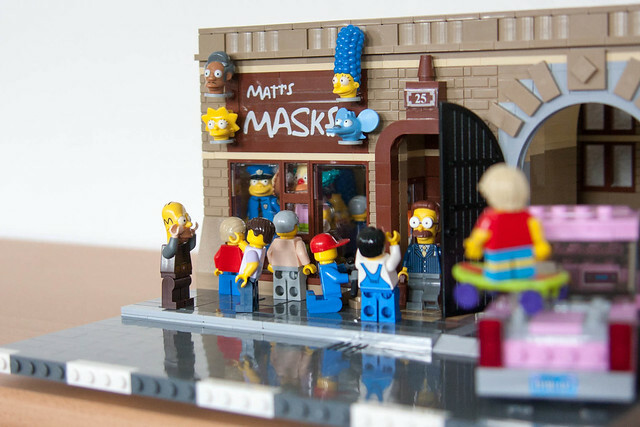 Great way to reclaim and lego-ise the Simpsons figs which never felt like proper lego to me. Totally brilliant! Would never thought to use the Simpson heads as masks. It works really well.